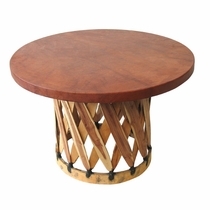 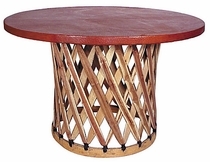 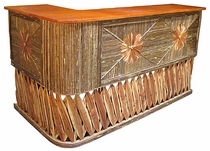 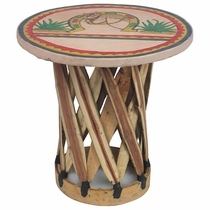 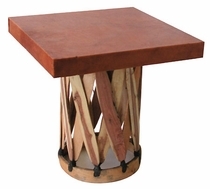 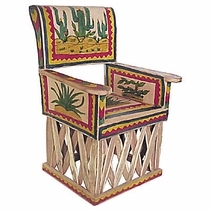 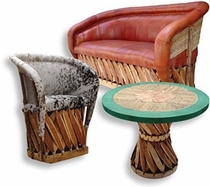 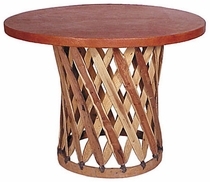 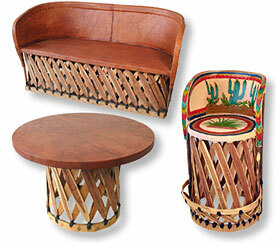 Our Equipale Furniture line brings with it a remarkable rustic Mexican flair. 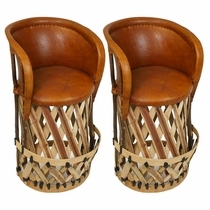 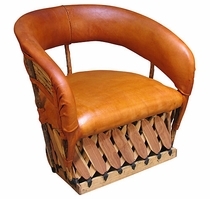 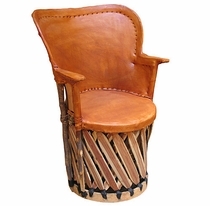 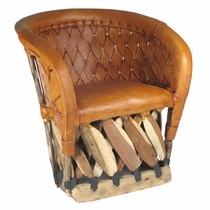 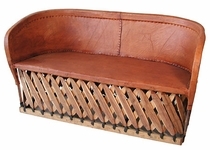 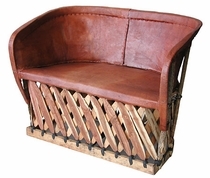 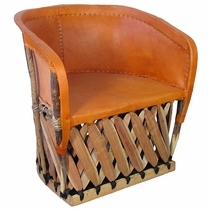 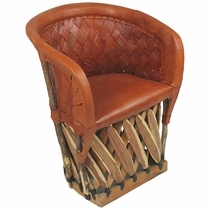 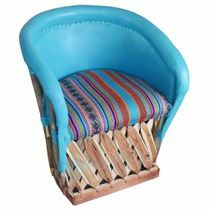 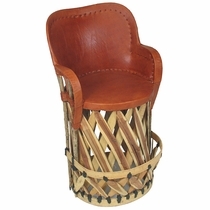 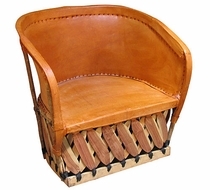 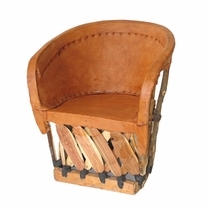 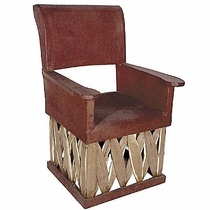 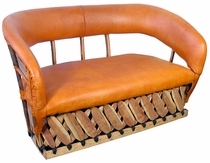 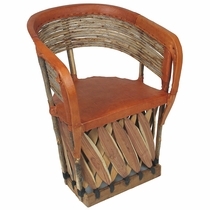 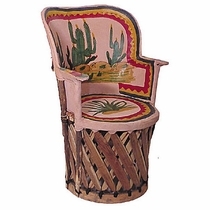 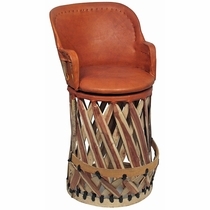 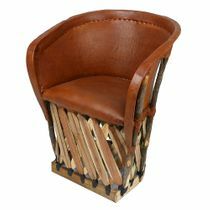 This handmade rustic leather furniture, crafted from tanned pigskin and Mexican cedar strips, is durable and comfortable. 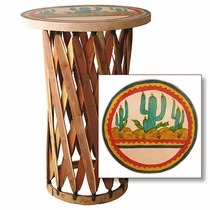 For your home bar, patio or family room, Equipal furniture will create a southwest or rustic atmosphere with classic and authentic Mexican charm. 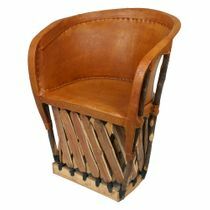 Our assortment of traditional equipale includes barrel chairs, lodge chairs, bar stools and tables in the traditional tobacco color. 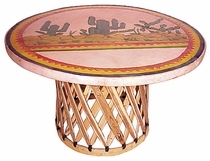 The pieces in our Will Rogers Collection have a natural finish that is hand painted with beautiful southwest desert scenes and colorful accents. 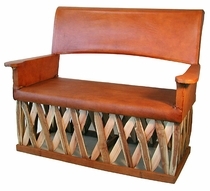 Color and Finish: The equipale furniture in this section is all tobacco color. 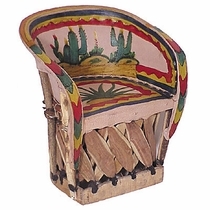 The centuries old tanning and dying process, along with unique hide properties, create slight variations in color. 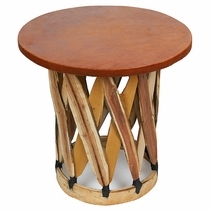 The product photos on this page appear different from each other due to variations in lighting. 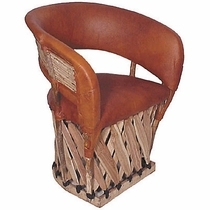 We do not apply any oil or wax to our equipale leather. 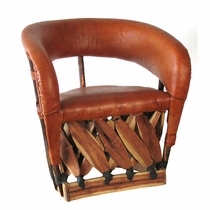 Neat' s Foot Oil or other saddle conditioners may be used if desired to protect and restore the leather, but will darken the finish. 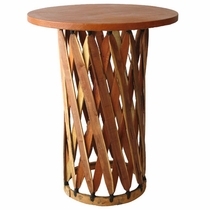 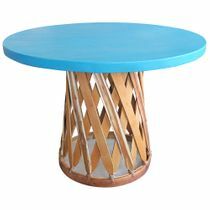 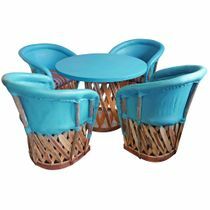 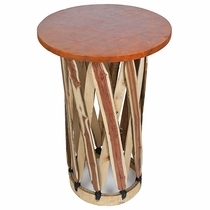 Click on the equipale furniture below for details and ordering. 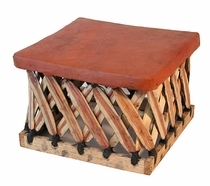 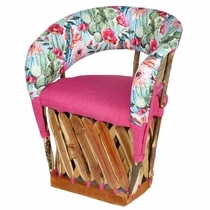 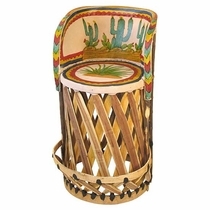 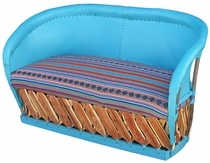 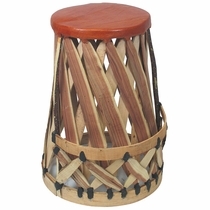 Square Mexican Equipal Footstool - 21"
Available in Teal, Salmon, Purple or Yellow. 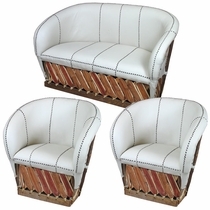 Sofa and two barrel chairs. 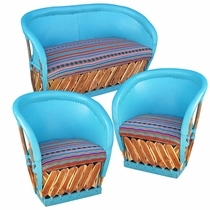 Available in Teal, Salmon, Purple or Yellow.